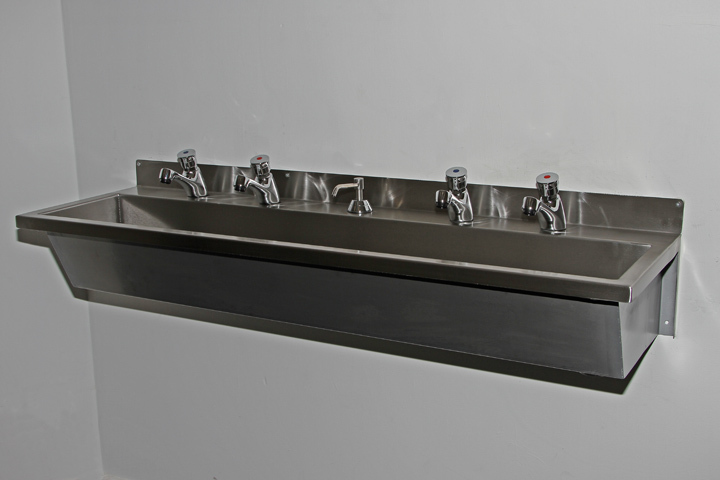 Compact wash troughs are ideal for situations where space is at a premium but a top quality product is still required. 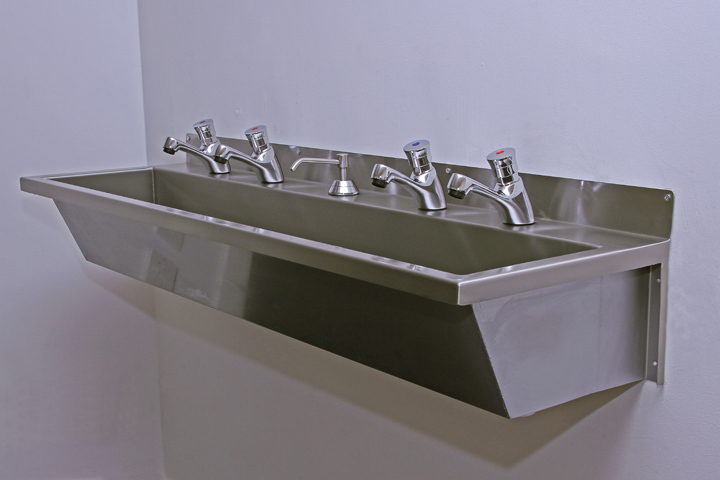 The trough only protrudes 350mm but still incorporates all the features of our larger troughs, and includes a safety edge to the front and sides. 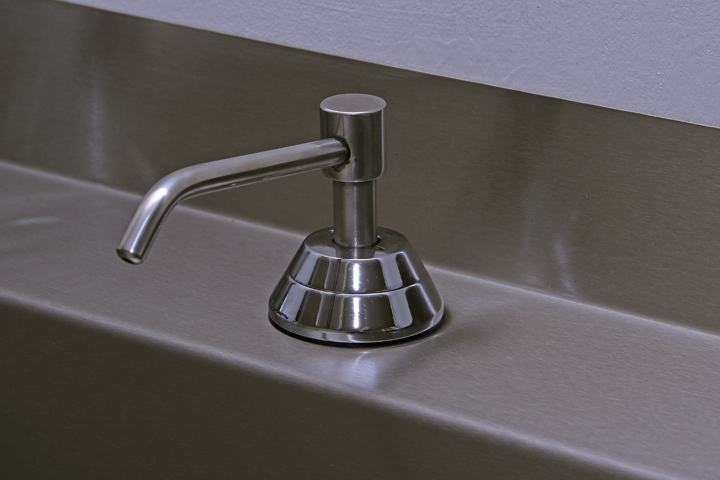 It is provided with a 38mm (1½"BSP) flush grated waste fitting to one end as standard, and can also be supplied as a full package with non concussive taps, integral soap dispensers and a trap (ask for details), for a time and labour saving installation . Delivery time is usually about 5 working days from order, with free packing and carriage to the UK Mainland on orders over £250.00 + vat.